Current an past activities that the board is pursuing are tracked on the Board Acivities page. Vincent Untz (Chair) / vuntz is an active Free Software enthusiast, involved since more than ten years in high-profile projects such as openSUSE, GNOME and OpenStack. His interests range from technical topics of the software to organizational areas of the communities. 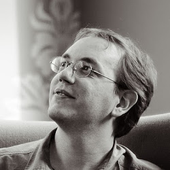 He worked on growing and enabling the openSUSE community as an openSUSE booster for three years, and held different leadership positions in the GNOME project over the years: GNOME Foundation director (2006-2010) and Chairman (2009-2010), as well as GNOME Release Manager (2008-2011). Vincent works at SUSE. And he loves ice cream! Richard Brown / ilmehtar lives in Brighton on the south coast of England. Employed as a Systems Manager at City College Brighton and Hove, large UK further education college who use a lot of openSUSE, SUSE, and other FOSS technologies. Involved in openSUSE/SUSE since 2003, Richard has contributed to various aspects of the project, including supporting users on IRC, testing/bug reporting, packaging, marketing, ambassadors and artwork. Richard is currently most involved as a maintainer of GNOME and the openSUSE branding packages, and working on packaging Spacewalk for openSUSE. Robert Schweikert / robjo lives in Hopkinton, Massachusetts, USA the starting place of the Boston Marathon. As member of the ISV Engineering team he is the Tech Lead for the SUSE-IBM Software Integration Center. In addition to working with the IBM software group Robert assists other ISVs with respect to appliances and technical questions related to SUSE Linux. Within the openSUSE project he contributes by maintaining some packages in factory and others in the openSUSE Build Service. In addition to the packaging contributions Robert is also actively involved in project governance discussions and helps out with event organization whenever possible. Robert also contributes to KIWI and is an active member of the LSB working group. Will Stephenson / wstephenson is from the United Kingdom, have been lived in Germany for 6 years now, since moved to Nuremberg to work for SUSE Linux. Live with wife and daughter a few minutes from the SUSE office. I started out as a student of German, along the way became a computer scientist researching wireless mesh networking, earned my keep working on a J2EE implementation and the odd website, and became a KDE hacker working on instant messaging. 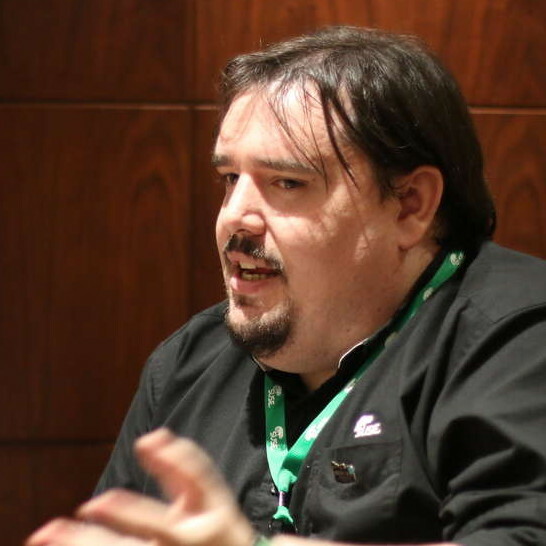 Originally came to SUSE to work on the KDE PIM suite and Kopete in SLE, but the role quickly broadened to be part of the general KDE team and from there has evolved into being one of the openSUSE Boosters. Part of the openSUSE project since day one, travelling to tell people about the openSUSE project, the distribution and the Build Service. Andrew Wafaa / FunkyPenguin Lives in a small town in the East of England originally come from Aberdeen. Employed as a Senior Solutions Architect at Fujitsu Services in the UK, supposedly dealing with Linux based solutions. Involved in Open Source in one form or another for over 10years, and have been using openSUSE and its predecessors since 6.2. Contributed to numerous aspects of openSUSE from advocacy to code to packages to crazy ideas (I get lots of these). Now heavily involved in the porting effort over to the ARM Architecture. Raymond Wooninck / tittiacoke is from the Netherlands, but has been living in Austria for almost 12 years now with his wife and 2 daughters. Employed as an Application Portfolio Manager at Coca-Cola Hellenic, but main knowledge area is the SAP software solutions (Technical area). Have been working with Unix systems since the early days of my career and started to use SUSE since 9.2. Got involved in community packaging for the KDE Desktop within openSUSE in 2009 and extended slowly the number of packages. Currently involved in maintaining the main KDE packages for openSUSE, the Chromium webbrowser and the Plymouth bootsplash. opensuse-board@opensuse.org - Everybody can discuss topics with the board on its mailinglist. This page was last modified on 24 October 2013, at 15:54.